The Gallery PVC line returns to Halloween Town! 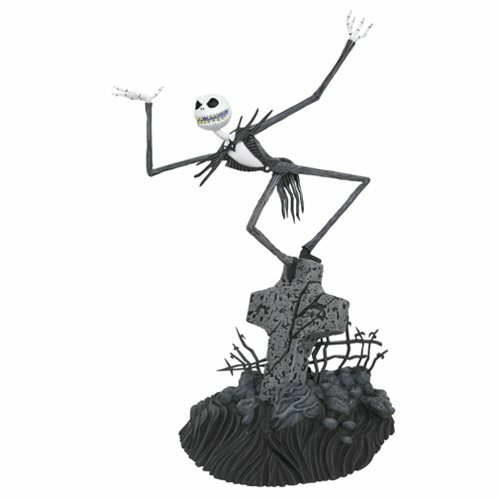 Combining detailed sculpting and impressive scale with affordable pricing, this PVC statue captures Jack Skellington as he perches on top of a gravestone, in an approximately 11-inch tall sculpt. Jack features collectible-quality paint details, comes packaged in a full-color window box, and is in scale with Sally (sold separately). Ages 14 and up.